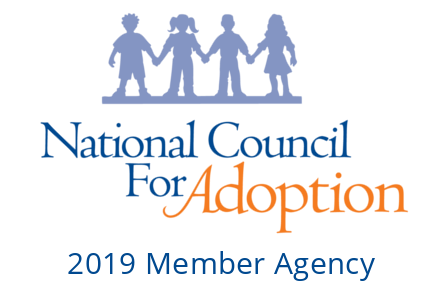 We have partnered with Your Adoption Finance Coach to provide our families with access financial resources to help take the worry out of financing your adoption. Our International Adoption Program responds to the needs of children and families by providing comprehensive home study services and post-placement supervision for Colorado families. LFSRM provides personal and individual support throughout your adoption journey. LFSRM has achieved the honor of Hague Accreditation, an international agreement that establishes safeguards to ensure inter-country adoptions are in the best interests of the child. This accreditation encompasses children entering the U.S. through international adoption, as well as children being adopted from the U.S. to other countries. LFSRM is the only Colorado agency to be accredited for outgoing adoptions. For international adoptions, LFSRM collaborates with U.S. Adoption Service Providers (ASP) to work together to give your family a wide selection of countries and programs from which to adopt from. The selected ASP helps match you with a child and provides in-country services. If you are interested in learning more about international adoption or any of our other adoption programs, please fill out the form below or call 303-217-5863. Check out our events calendar for adoption information meetings and other adoption events. If you are new to adoption and still wondering about which program may be right for you, this meeting is a great place to start. We will introduce you to the international adoption process, and how to afford adoption. You’ll also have the opportunity to ask questions. If you are new to adoption and still wondering about which program may be right for you, this meeting is a great place to start. We will introduce you to the domestic adoption process, what is open adoption, and how to afford adoption. You’ll also have the opportunity to ask questions.